I had one fan and I lost it. So I went out and bought a bag of 6 plain paper fans that will one day need to be redone because they are boring and the paper warped anyway. 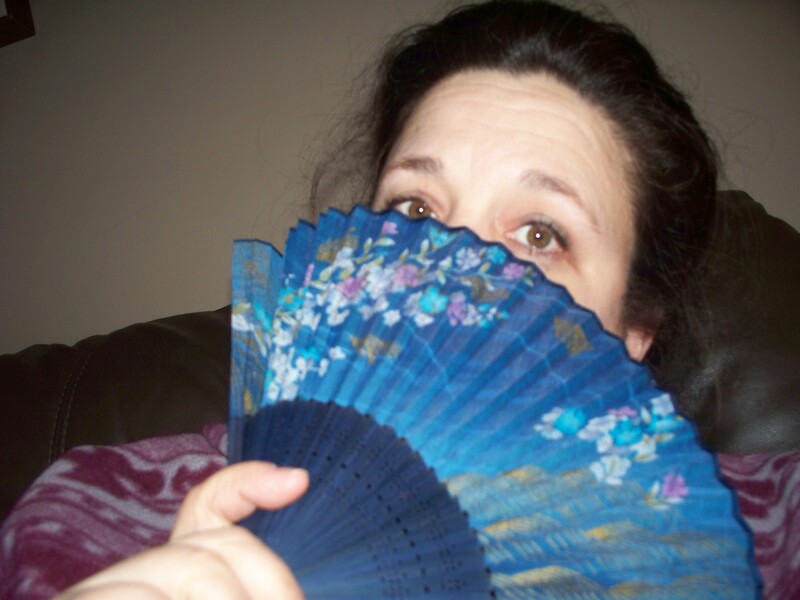 I also bought this fan with a kind of Spanish (if Spain were tacky) feel to it. Spanish Senorita....with a lazy eye. Then last week at Craigdarroch Castle I bought this little fan. More of a Japanese look. 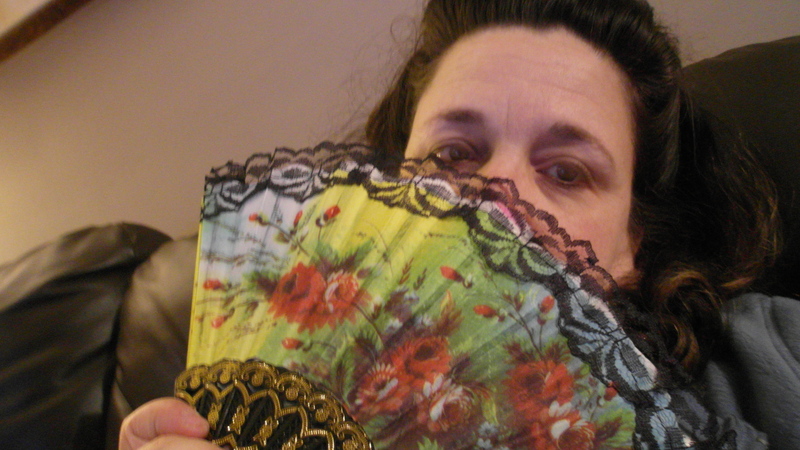 Neither fan is particularly accurate in material or even pattern for the 1850s. That will have to come at another time. I think the blue suits my coloring better. But, I think the red and yellow one will suit the dress better. I guess we better wait and see when it is done. And then decide which one I will use for Queen Victoria’s Birthday tea. After being gone for a week and farting around with my computer game all day yesterday I have nothing sewing/costuming to relate so I will show you the gift my mom bought me at Craigdarroch Castle. This thing is absolutely perfect for my costume that I am working on for this spring. 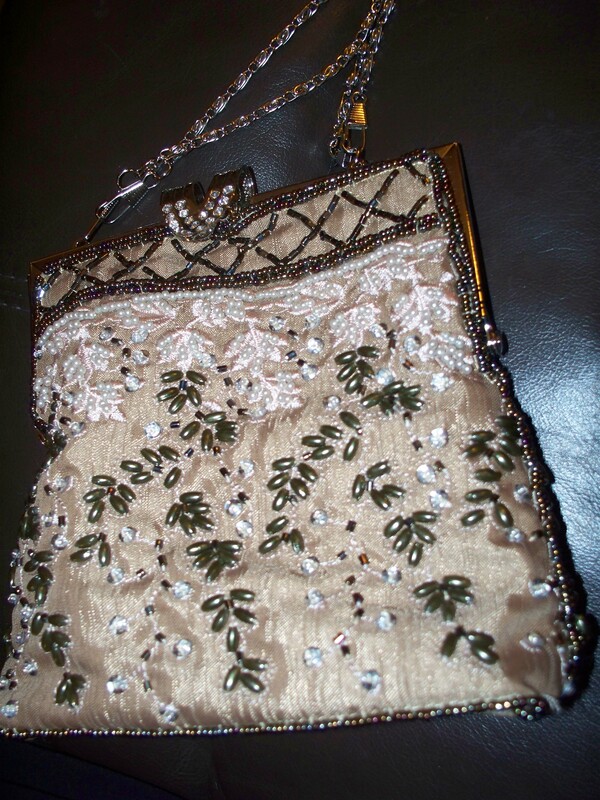 It is a really sweet reticule/bag. It has two chains to choose from…one hand bag length and one shoulder length. For my costume I will choose the hand bag length as I don’t believe they wore shoulder length straps in by gone days. The criss cross pattern at the top edge will echo the same pattern in one of my fabrics and the dark beads will go with the other fabric. Sorry for the dreary photo. My nice camera is broken and I’m back to my old one. Honestly, I can’t really remember how to use it! I spent all of Sunday in my pajamas doing laundry and playing Sims. Yes, I’m a Sims addict. I like having total control of my virtual little town. 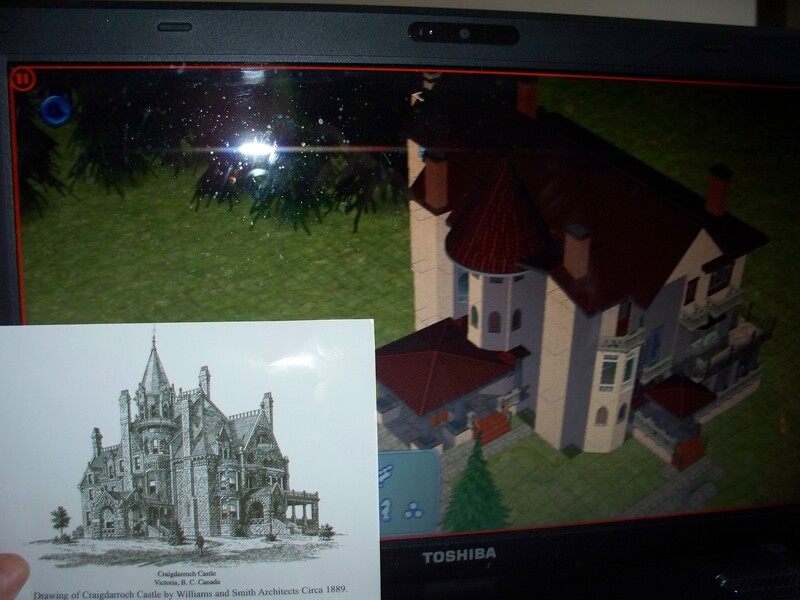 I spent the day trying to build Craigdarroch Castle. I was limited by the options in the game but building it (using photographs and the tour map) made me realize that there is symmetry and lots of straight lines in what appears to be a random lay out. It was like deconstructing a dress to see how it goes together. 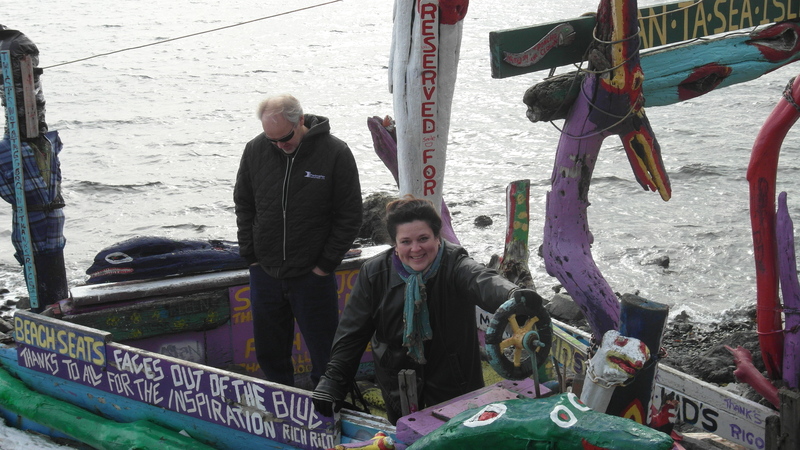 Well, the return trip was OK but not fabulous let me tell you! 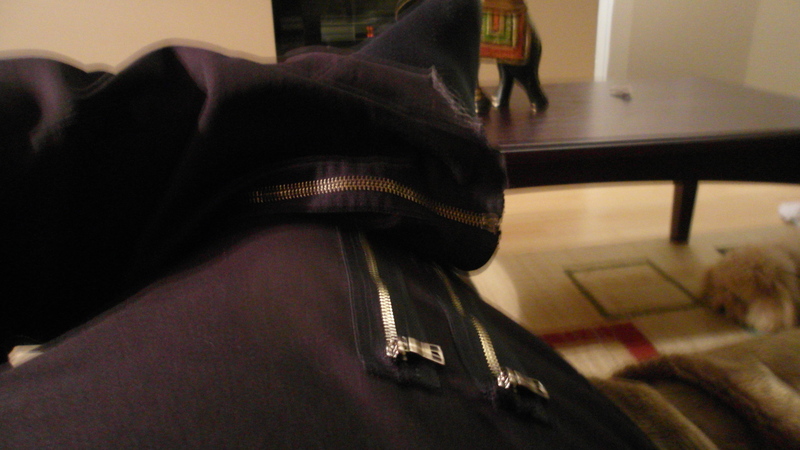 First of all, I will give you a tip on how to guarantee that you will need to go through the “strip search x-ray machine” at an airport….wear a pair of pants with 4 decorative zippers put on them. Also, try to take a photograph with a camera that has no LED screen and you end up with blurry photos. Gonna have to try and see if I can get that fixed this week! We had to do a stop over in Edmonton and after a week of green grass I was not prepared for a snow storm which created a lovely white out. I hate winter. 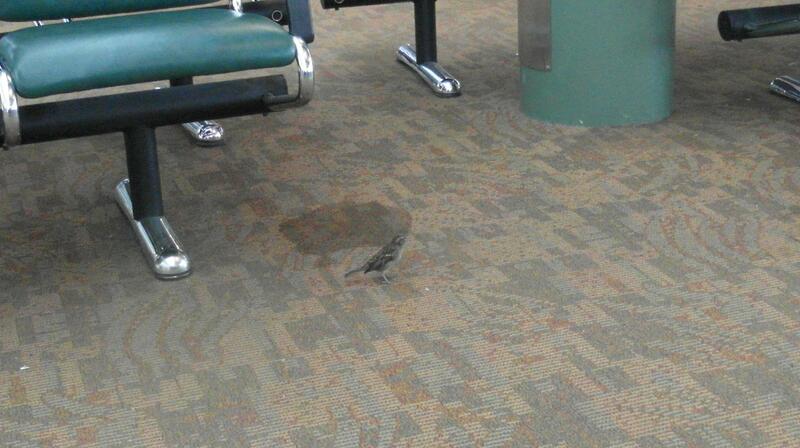 Apparently, so do the birds that moved into the airport. Poor little birdy. Trying to scratch a living off of a dirty airport carpet! Tomorrow I tackle a mountain of laundry, cook a couple of meals for my boys who are tired of take out and finish cutting out my 1850’s skirt. First leg on the return trip home. We are in Vancouver now waiting for my friend to meet us for dinner. 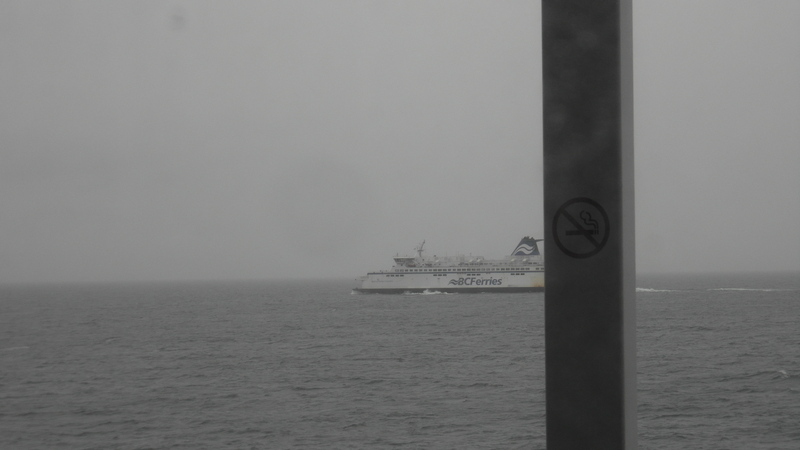 I had hoped we would get some awesome shots of the ferry ride (missed them on the way out because the camera died) but the rainy, foggy weather got in the way. A ferry going the opposite way. Foggy isn't it! We are also having another problem-the touch screen of my camera is broken. I have no idea what I am pointing at. Hence the pole in the middle of the photo. I hope the warrantee covers its repair! 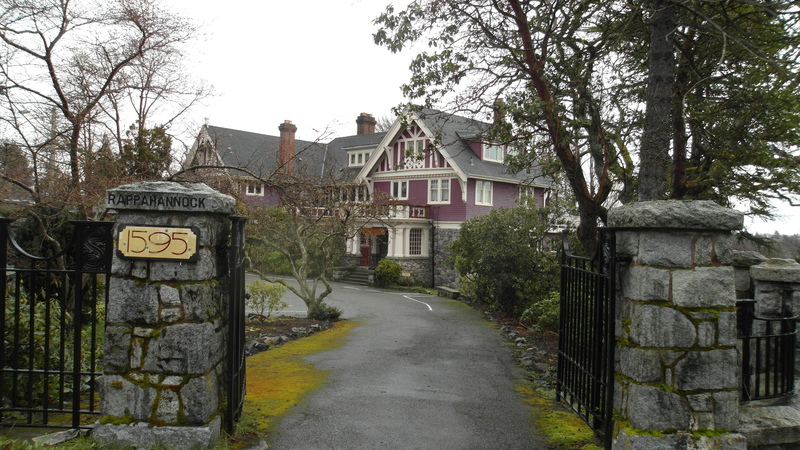 Before catching the ferry we went on one last Victorian mansion hunt and this is my favorite from that walk. 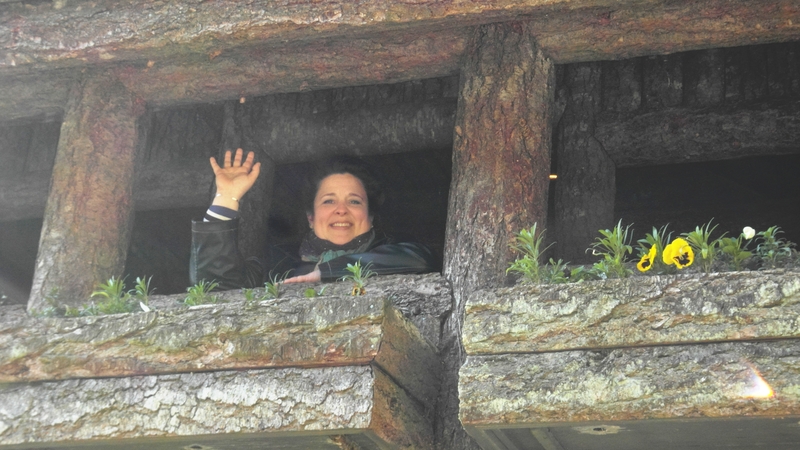 The hubby's cousin once stayed on one of the apartments. Lucky! 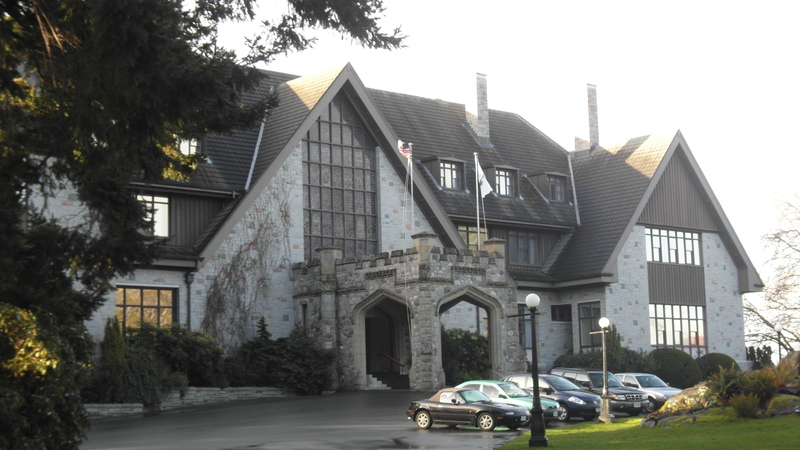 Bye Victoria…I will miss you. One day I hope to live there! I’ve been away from work so long I can’t remember what day it is so no more count down. Today had my usual house hunt walk. And I found this huge monster that is now an apartment block. And if that wasn’t big and Goth enough for you…. Then we went for a walk along the beach. Some fellow decided to collect some drift wood and paint it up and make a fun spot along the beach. Tonight dinner with mom (PLEASE GOD LET THERE BE MASHED POTATOES AND GRAVY) and a visit with the hubby’s cousin. Tomorrow it will be time to pack up and head for Vancouver. 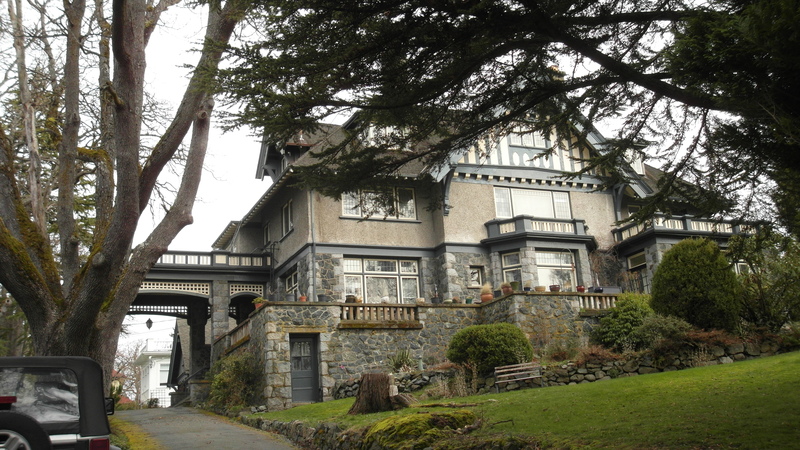 Today this hubby and I went for a walk down the street the Lieutenant Govenor’s mansion. There are nice walking paths there that are open to the public. Its big but not as nice as the other houses I have been looking at. The grounds are nice though. 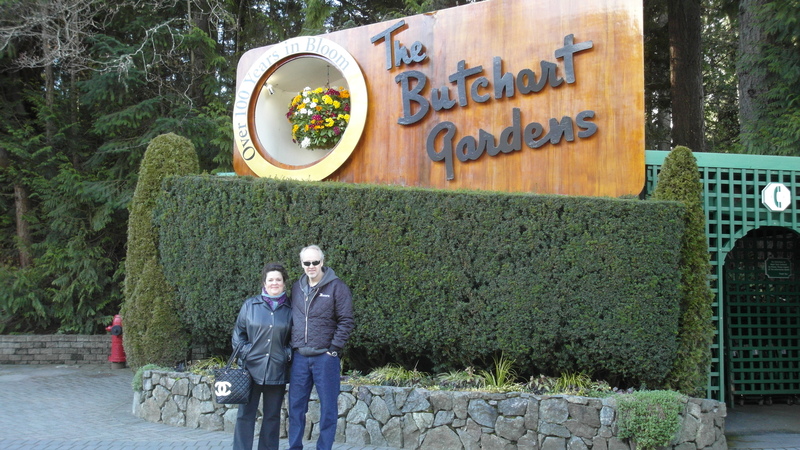 Then we went to the Butchart Gardens. 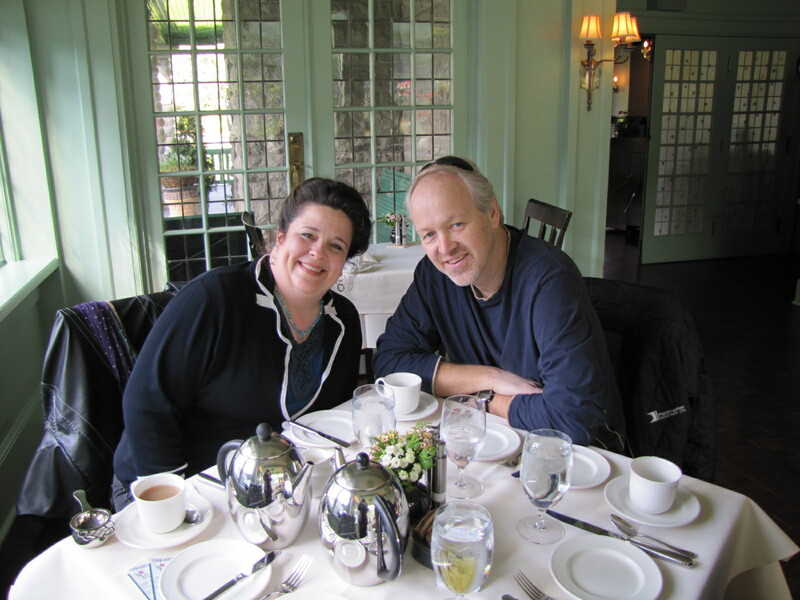 Before touring the gardens we went to their high tea. 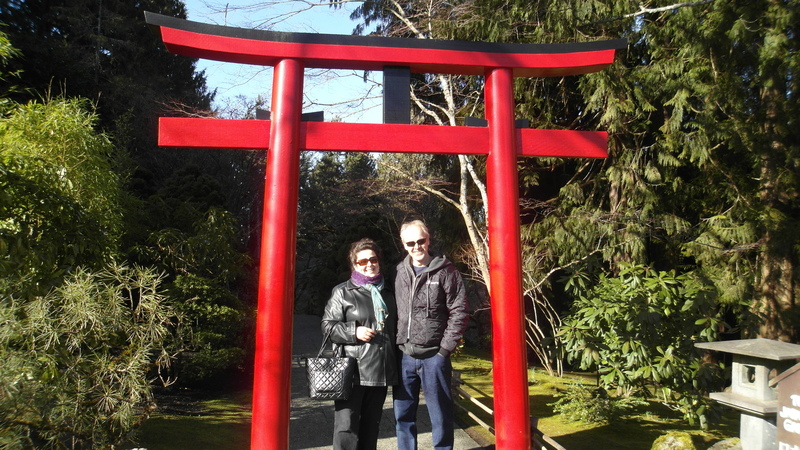 Once fortified we toured the gardens. The Butchart’s mined lime for cement. They built their home next to the quarry. Later on Mrs. Butchart gradually converted the whole thing into a huge garden. It was quite nice to see now but in the summer it is FULL of flowers. 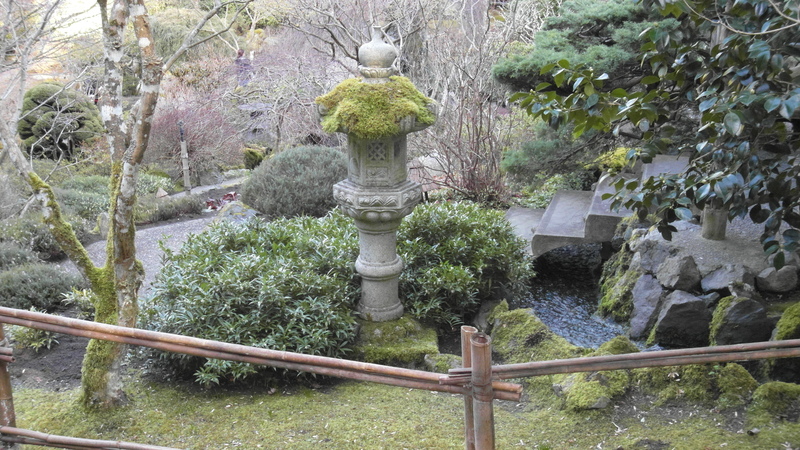 My favorite part was the Japanese Garden. There were lots of tranquil spots that begged for a good book and loads of down time. This must be really nice when in full bloom. 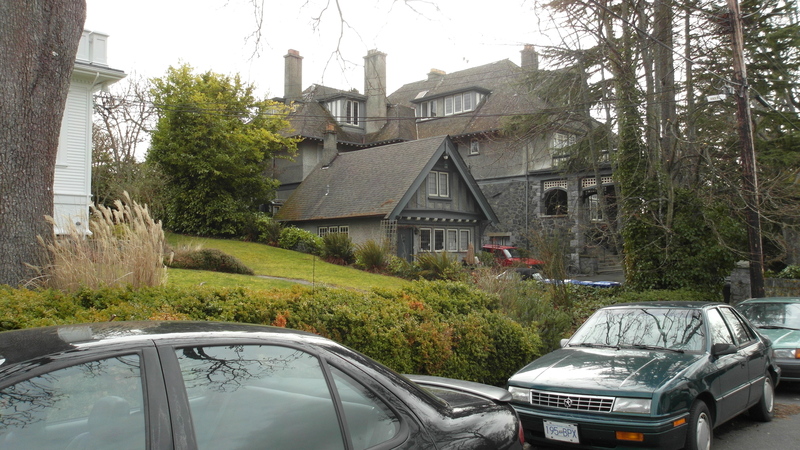 We also toured the house the Butchart’s lived in. It wasn’t much on the outside but the inside was nice. 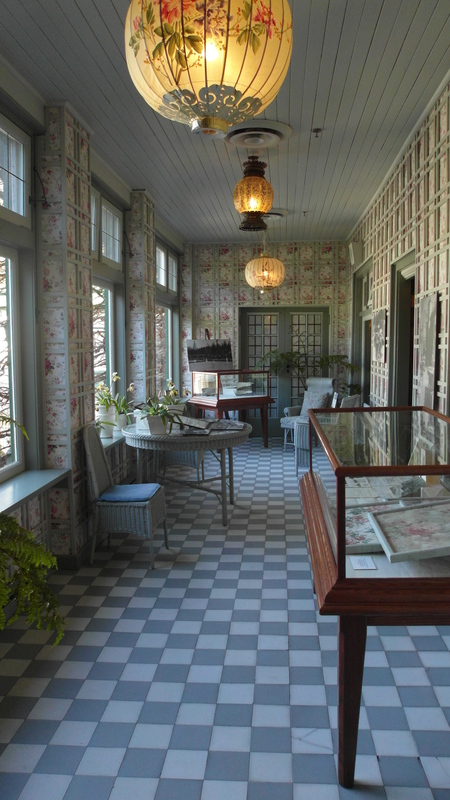 The veranda of the house that looks out on the Italian garden. 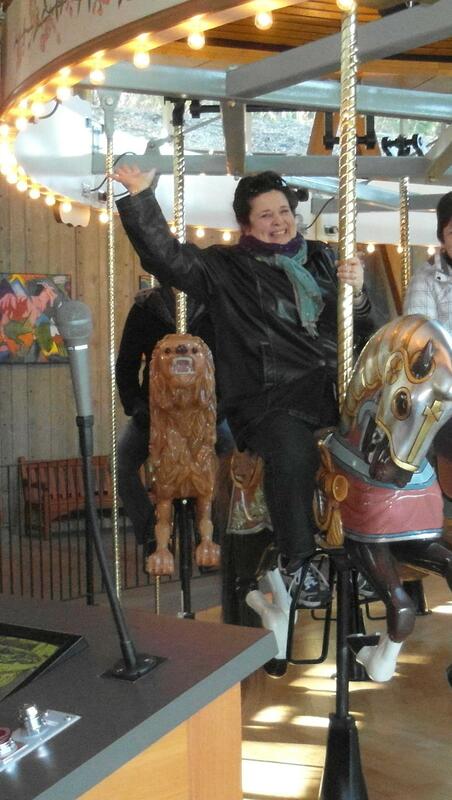 And they set up a carousel for the kids…I couldn’t resist! 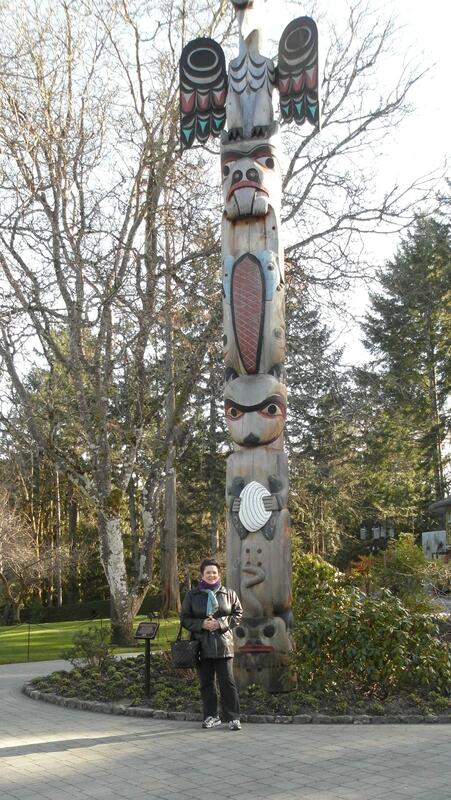 You can’t go to BC without the obligatory totum pole photo. These things are fairly common in BC.